Of every dollar spent world-wide last year on “programmatic” ads—ads bought using automated software—just 40 cents made it to the publisher selling the ad space. Advertisers pay a “tech tax” to the chain of vendors between a marketer and the website that runs an ad. Blockchain offers a faster, more reliable way to track spending and reconcile discrepancies with suppliers. The technology can also help track whether ads are running on websites with real traffic and visible to ordinary users. Blockchain technology has made inroads in industries from logistics to health care. Now, it’s gaining traction with marketers, who see it as a potential answer to the pitfalls of online advertising. Anheuser-Busch InBev , BUD -0.65% AT&T Inc., Kellogg Co. K 0.08% , Bayer AG BAYRY -0.04% and Nestle SA NSRGY -0.96% are among advertisers that are starting to use the nascent technology to figure out whether their ads are viewed by real people, not computer-generated bots, and how much of their spending is siphoned off by middlemen. Blockchain is a secure digital database that can house a ledger of transactions, distributed across multiple computers. 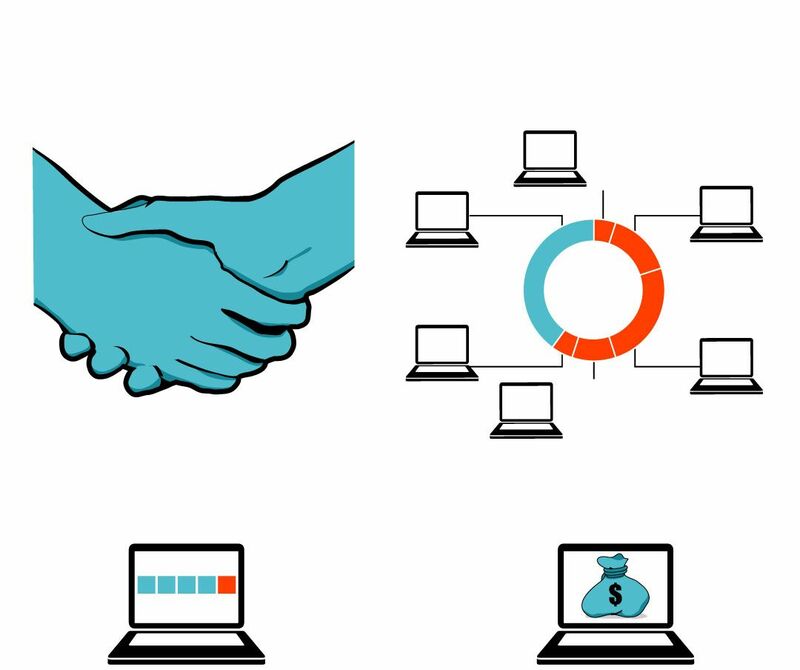 It allows business partners to keep a record of their transactions, stored as “blocks” and updated in real-time, based on an agreement among the parties. Blocks can’t be altered. The technology, or at least the hype around it, is booming. Now the secure, transparent nature of the technology has drawn interest in the advertising world, where dealings between marketers, their ad agencies and tech vendors often aren’t transparent, leading to distrust and fears among advertisers that they are wasting money. Marketers sometimes can manually audit digital ad campaigns, but proponents of blockchain say the technology offers a faster, more reliable way to track spending and reconcile discrepancies with suppliers. The technology can also help track whether ads are running on websites with real traffic and on portions of them visible to ordinary users. That type of campaign information can be included in stored “blocks” along with pricing information. 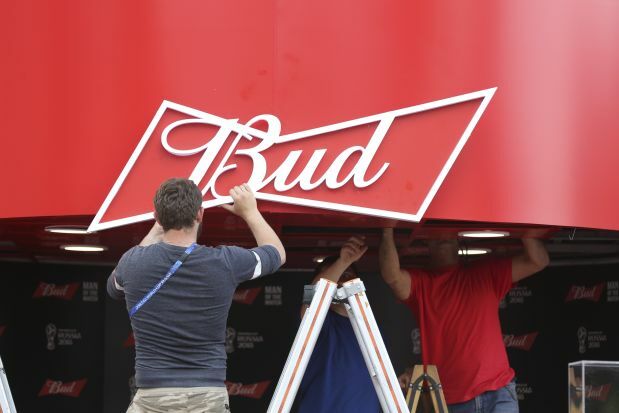 The objective here is not about savings, it’s more about transparency to make sure we are reaching consumers in the most relevant way,” said Lucas Herscovici, a global marketing vice president at Anheuser-Busch, one of the world’s biggest advertisers. A-B has tested a solution from mobile ad-tech firm Kiip that records ad campaign data to the blockchain. “I believe in the next two to three years, most of the programmatic media will move to being blockchain-based because advertisers will want transparency and this will provide it,” Mr. Herscovici said. Blockchain has its drawbacks. It’s an extra cost and it depends on a number of players agreeing to sign up to a common agreement. Big online ad campaigns that target audiences across hundreds or more websites can cross dozens of different ad-tech middlemen, many of whom might not be keen on signing up to a blockchain consortium. Alphabet Inc.’s Google, the biggest player in the online advertising ecosystem, hasn’t announced participation in any of the advertising blockchain projects currently under way. Digital-advertising exchanges process millions of ad transactions every second, but it can take several minutes for transactions to be recognized in blockchain and hours for payments to be settled, according to Isaac Lidsky, president of Underscore CLT, a startup working on developing the technology for the digital marketing sector. Still, some industry experts think blockchain’s benefits outweigh these teething pains. When advertisers see how the technology can be applied to solve familiar problems, “it’ll take the boogieman factor out of the blockchain and everyone will instead focus on the quality-of-life improvement possible,” said Josh Herman, global integrated marketing leader at Kimberly-Clark Corp. , one of the members of a blockchain consortium at International Business Machine Corp.’s digital marketing agency, iX. IBM announced its blockchain product in June in partnership with advertising software provider Mediaocean. Major companies that have signed up to use the technology to track their digital ad spending include Pfizer Inc., Unilever PLC and Kellogg. Elsewhere, confectionery giant Nestlé is beginning to test a product from tech startup Amino. The product lets all advertising vendors get paid at the same time directly by the buyer, so long as they meet their pre-arranged commitments. That’s an improvement, Amino says, on the traditional process where the advertiser pays the agency, who pays the next vendor in the chain, and so on, leading to delays and discrepancies. Sebastien Szczepaniak, head of e-business at Nestlé, says he envisions putting a requirement in ad contracts stipulating that partners must use a blockchain solution. As with other new technology in the ad industry, blockchain will get widespread adoption only when prominent advertisers start demanding it as part of their campaigns. Every business in the chain agrees to the advertiser’s terms. Data can include how much of a cut they take in fees and what the publisher receives. Payment is based on the blockchain’s contents. The “blocks” also store the price of each ad and whether they were viewable.